Encore Wire Co. (WIRE) Shares Sold by Macquarie Group Ltd.
WhiteHorse Finance Inc (WHF) Stake Lowered by Macquarie Group Ltd.
Beazer Homes USA, Inc. (BZH) Position Cut by Macquarie Group Ltd.
Silicon Valley was hit again by sexism claims and of women being harassed. 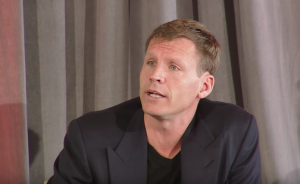 On Friday, Justin Caldbeck a venture capital investor announced he would take an indefinite leave of absence from his company following accusations he sexually harassed women in the tech industry. Caldbeck, in a prepared statement released by his firm Binary Capital in which he is a co-founder, said the big gap of influence between venture capitalist who are male and female entrepreneurs is huge and he hates that his behavior may have played a role in creating an environment that was gender hostile. One analyst for an online tech site said this week that six founders, who are all women, came forward with reports about Caldbeck making unwanted advances. The claims by the women included texts late at night and groping. Caldbeck, who is 40, has said to the media that he strongly denies the women’s claims and called them attacks on his character. Binary Capital has been quoted as saying the women’s allegations were not true as there is no evidence Caldbeck did anything that was illegal. However, in his prepared statement on Friday, Caldbeck acknowledged he was ashamed of his own lack of self-awareness. The Silicon Valley executive also thanked the women that had had spoken up for making him look at his own character and how he behaves that he cannot ignore any longer. In his statement Caldbeck called the last 24 hours the darkest of his life and wrote that he would seek professional help. He previously was the managing director of Lightspeed Venture Partners as well as a Bain Capital Ventures partner, and led investments by Binary Capital in Stitchfix, Grubhub and TaskRabbit amongst other startups. Two of the six women named in the online article that brought the allegations to light, said they were pleased Caldbeck apologized and thanked the people who supported them. The two women Leiti Hsu and Susan Ho are the cofounders of travel startup Journy and said that men need to be just as engaged in speaking up about the problem if real change is wanted. The statement by Caldbeck came amidst growing outrage amongst investors and executives in Silicon Valley. Reid Hoffman the founder of LinkedIn posted on Friday about the recent allegations and the broader problems of sexism that exists in Silicon Valley. He called it outrageous and entirely immoral behavior, adding that it falls to us to remain beside you, speak out, and act. Hoffman is on the board of directors of Microsoft.